In this exclusive video taken from our latest edition (issue 18) of International Investment we discuss the changing face of the Dubai and Middle East financial services industry with interviews with some of the industry’s biggest names. 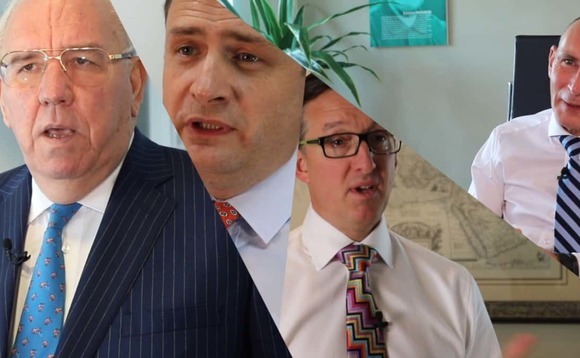 In this video above, we feature Globaleye’s Tim Searle, deVere Group’s Nigel Green, AES International’s Sam Instone and Holborn Asset’s Bob Parker. Extended interviews with each of the four participants are also continued in the UK and the international versions of latest International Investment ezine. Our Dubai Frontrunners section also features editorial and video articles by Hansard International and Investors Trust. Elsewhere both the UK and the international versions of the ezine feature the latest regional news and views as well as a revealing exclusive fund manager interview with Bordier UK’s CEO Jamie McLeoed, the latest Morningstar data and insight and a digital version of the International Investment directory. Click here for our international version. Click here for our UK version.